According to the agency, the company took legal action with the Seoul Administrative Court, demanding that the ministry disclose the method of analysis and the experimental data used in the research. 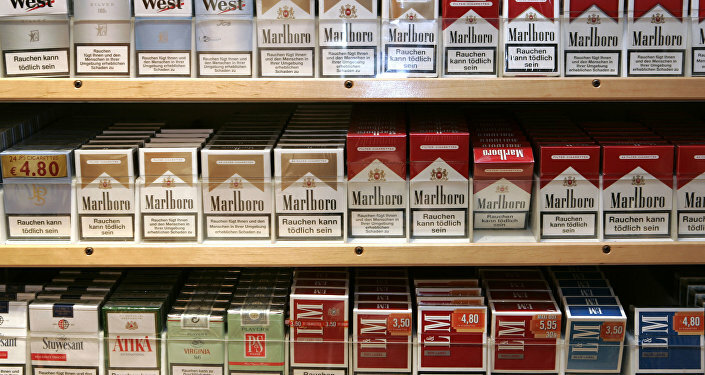 Philip Morris Korea Inc. claimed that the level of tar was not an appropriate indicator to measure the health impact of the product, the media added. The research was unintentionally suggesting that smokers might as well return to conventional cigarettes, despite proven health risks, the media said, citing the company. The IQOS technology is built on the idea of heating tobacco rather than burning it as conventional smoking products do. While tobacco in a cigarette burns at a temperature of about 600 degrees Celsius (1,112 degrees Fahrenheit), IQOS heats tobacco up to 350 degrees. Manufacturers claim that the lower temperatures reduce the level of harmful chemicals inhaled by smokers. In June, the South Korean Ministry of Food and Drug Safety said it had found that the levels of tar in the products using new tobacco heating system IQOS, launched by the company last November, were higher than those of conventional cigarettes.